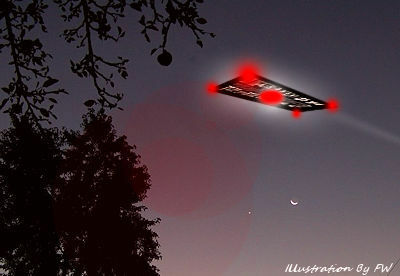 A Tennessee witness at Jasper reported having a strange feeling that caused him to move outside where he watched a silent, rectangle UFO larger than his apartment complex hovering nearby, according to testimony in Case 74637 from the Mutual UFO Network (MUFON) witness reporting database. The witness was at home in his bedroom when he had a strange feeling to go outside about 6:30 p.m. on October 30, 2015. The witness was amazed at how large the craft was. The object was moving very slowly. The witness is not sure what he saw.